Did you know that many behavior problems can be caused by sensory issues? Are your child’s clothes always too itchy? Every food he tries is “yucky“? The florescent lights in your classroom are too bright? The joyful screams of friends playing at recess are too loud? 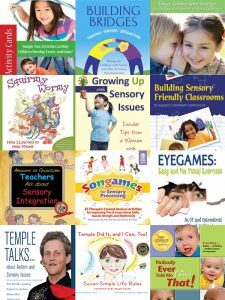 If your child or student is unable to cope with these everyday sensory stimuli, he may “act out” in a disruptive way…distracting his classmates or creating chaos at home. Meltdowns or tantrums may become an everyday event. Do these behaviors sound familiar? If so, your child or student may be experiencing Sensory Processing Disorder or SPD. Read on to find out how SPD can affect a child’s everyday life and what you can do to help. The latest research by the Sensory Processing Disorder Foundation indicates that 1 in every 6 children experiences sensory symptoms that may be significant enough to affect aspects of everyday life functions. Symptoms of Sensory Processing Disorder, like those of most disorders, occur within a broad spectrum of severity. While most of us have occasional difficulties processing sensory information, for children and adults with SPD, these difficulties are chronic, and they disrupt everyday life.